Richard Irwin (Belper, United Kingdom) on 21 July 2008 in Plant & Nature. These are from my garden. And very nice they are too..! You don't have to go far to take a good photo, nice image. Very warm, appealing image. You've chosen a good composition and made good use of light. A wonderful photo! Congratulations on hitting 500! The light highlights the soft blues and whites, very well done, Richard. You have a beautiful garden. very pretty, soft colours. nice! They are beautiful - the DoF and lighting is just amazing. Wonderful shot..
richard this is a very beautiful shot. nice color and composition. i love the blur background. Superb use of DOF. The image is really pretty. The flower in the middle really stands out. 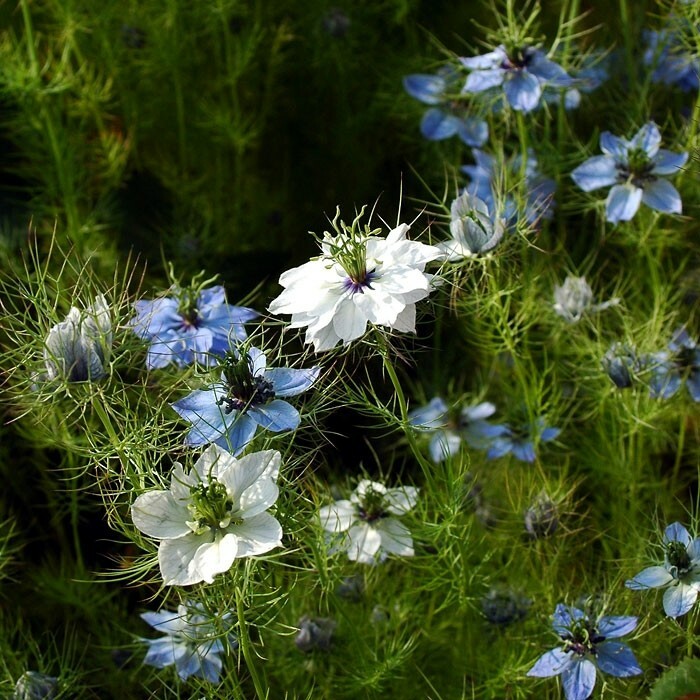 You've brought back the memory of growing these in my garden as a child . . Nigella, I think they were called. Beautiful light . .
Beautiful mood to this Richard, great shot.